New PLR in Hot Niche – Ready For Resell! Want to skip the whole process of creating your own information product? Look no further! That’s where private label rights comes in. 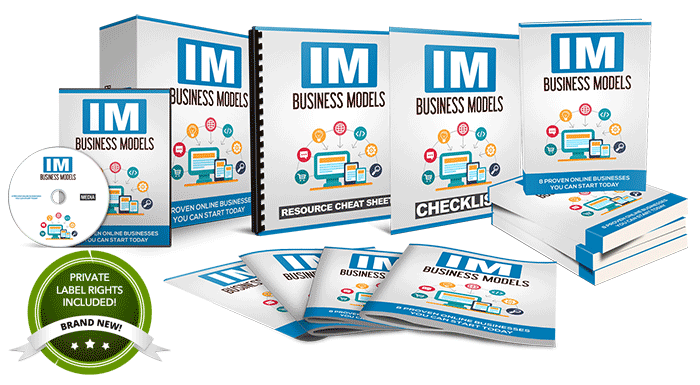 It’s called “IM Business Models” – 8 Proven Online Businesses You Can Start Today. Best of all, you’ll grab full private label rights to rebrand and resell the entire course as your own! This one’s smokin’ HOT and in the unstoppable Internet marketing niche where millions of people are looking to start their own business online, and you could very well put your name on this product and resell it for 100% of the profit.